SaM Solutions has over a decade of experience applying Agile approach to software applications development in many projects of different sizes and complexity. 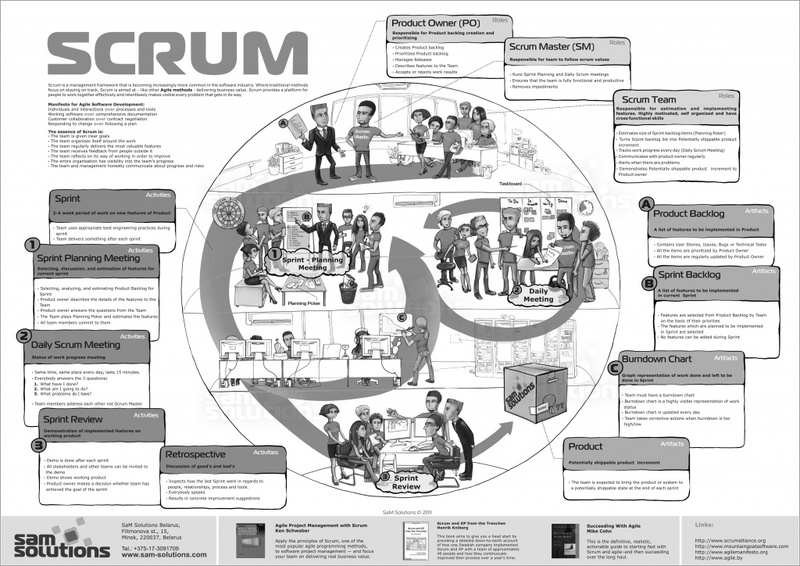 Scrum is an agile development process framework intended for quicker project results, progress transparency and enhanced business value. To secure high quality and timely delivery of our software products, we offer our employees regular internal trainings on Scrum led by certified Scrum specialists. What the client receives is working software on guaranteed release dates with business-critical features first. SaM Solutions implements projects under the Scrum framework, using its pool of software engineers in Eastern Europe. We have collected best-practices and multi-year experience to ensure that even geographically distributed teams can effectively communicate and collaborate. Thus, we ensure lean process and lean cost. If you’d like to learn more how a nearshore Scrum team can work for your projects, please do not hesitate to contact us: info@sam-solutions.com.